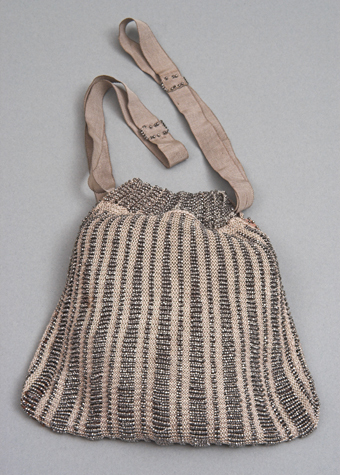 As incredible as it may seem, all the beads in this bag were threaded on the yarn at the beginning of the project and brought into the piece as the knitting progressed. The ribbon strap has been beaded to cover the join of the two ends. 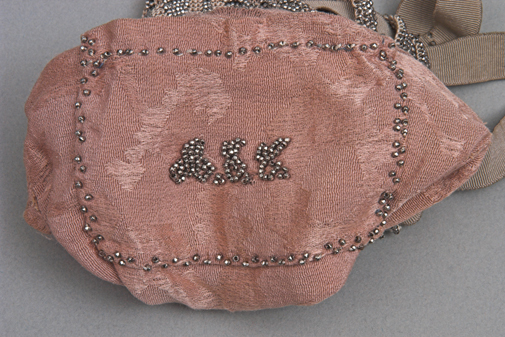 A small pocket on the inside is embellished with the maker’s initials, which are difficult to decipher, but likely are A.E.E.